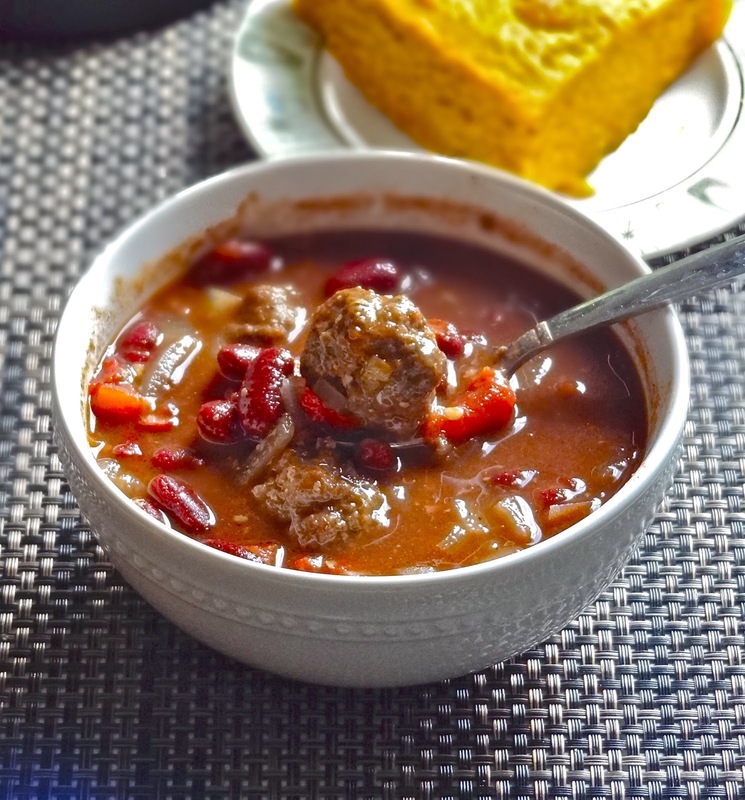 I use all the basic ingredients for the chili soup and seasoned with Asian spices and I made baked meat balls instead of ground beef, it's slightly spicy with fresh cayenne pepper, You can cook this chili soup in the crock pot or on the stove. Fabulously tempting. Shall try with lamb for this coming weekend. I can see the flavour steaming out of my screen, this does look very delicious! Ridwan, I've never even heard of Asian Chili before...yet alone, pairing it with meatballs! Super genius, tempting, and so delicious!